A current reflection on millennial nurses? Actually, no. These and similar observations were commonly made circa 1975 when veteran nurses at the time complained about the up-and-coming generation of nurses — the baby boomers. A variety of factors shape a generation. Cultural norms, parental influence, global events, media, and technology combine to form a frame of reference for young people as they learn to navigate the world in which they live and, eventually, the places at which they work. The outlook and attitudes of nurses and other healthcare professionals who, according to the Pew Research Center, were born between 1928 and 1945 and assumed the label of the traditionalist (sometimes called “silent”) generation were molded in large part by their formative experiences during the Great Depression and two world wars. Members of the traditionalist generation internalized the significance of loyalty and hard work, values they passed on to their baby boomer offspring. For its part, the baby boom generation (born between 1946-1964) was reared on television, which brought them in equal measure feel-good programming like “Leave It to Beaver” alongside Cold War fear, Vietnam War frustration, and civil rights hope. Eyes widened by a media-instilled view of the world beyond their immediate experience, boomers became independent, critical thinkers with an appetite for societal change. Yet for all their we-can-change-the-world bravado and the hippy, head-in-the-clouds persona that traditionalists roundly criticized, baby boomers stayed true to the work-hard and stay-loyal values they learned from their parents. They earned a reputation as driven overachievers in the workplace. That’s the funny thing about generation gaps — contrary to popular belief, the divide tends to be more a manageable gully than an insurmountable chasm. For as much as one generation tends to assume the worst of the next, in the workplace at least, studies suggest there’s little difference in overall attitudes toward work between generations of employees. Workwise, if nurses across generations really value the same things, why does it seem so challenging for them to understand one another? Complicating gaps in perception and communication from one age group to the next, the nursing profession currently hosts a mixed bag of four generations of workers. By and large, traditionalists, now in their 70s and 80s, have retired from the workforce, although a small cadre of nurses in this age group continue to practice, mostly in part-time positions away from the bedside. By sheer number, baby boom nurses have dominated the profession for decades. Although at or nearing retirement, boomers still wield considerable influence in nursing. Smaller in number, Generation X — those born between 1965-1980 and labeled “latchkey” children for their experience growing up in two-earner households (and who, incidentally, were labeled “slackers” by their predecessors) — have accumulated enough practical experience to begin assuming leadership roles. Then there they are, at the bottom of the age stratum: Millennials, the newest cohort to enter the workforce and the one about which so much criticism has been levied. Also known as Generation Y, millennials were born between 1981 and 1997 (again, according to Pew Research). At 83 million strong, they currently represent more than a quarter of the current U.S. workforce and are predicted to outnumber any other adult-age generation beginning in 2019. Luckily for a profession like nursing, which is facing shortages of workers, recent research shows that millennials are nearly twice as likely to enter the nursing profession as their baby boom grandparents. Their numbers make millennials a force to reckon with, but many an experienced nurse has trouble accounting for the behaviors and attitudes of nursing newbies. General public perception of millennials — let’s face it, basically that they’re entitled — has wound its way into nursing circles. Yet getting a handle on generational differences in nursing is vital, not only because established nurses must effectively train and mentor their young counterparts to preserve the integrity and capability of their profession, but also to minimize counterproductive behaviors in nursing, including workplace bullying, that contribute to high turnover among millennial nurses. To be sure, millennials have a distinct worldview, one their predecessors often find uncomfortable or even consider downright outrageous. But at least one longitudinal study of their professional socialization found that millennial nurses center their choice of profession on the same goal as that of their older colleagues — to make a difference in the lives of others. Research finds that millennial nurses, at their core, are as committed to excellent, patient-centered care as any traditionalist, baby boomer, or Gen X nurse. It might be said, then, that when it comes to generation gaps in nursing, the more things change, the more they remain the same. Even so, an understanding that nurses of all ages share a common objective offers little practical comfort to experienced professionals struggling to effectively engage with their millennial counterparts — and vice versa. In our next post, we’ll dig deeper into the characteristics of millennial nurses and offer tips for lessening, if not leaping, the divide. Whether you’re an experienced nurse or you’re new to the profession, you’ll find a respectful workplace culture at Eisenhower Health that values your engagement and rewards your contributions. 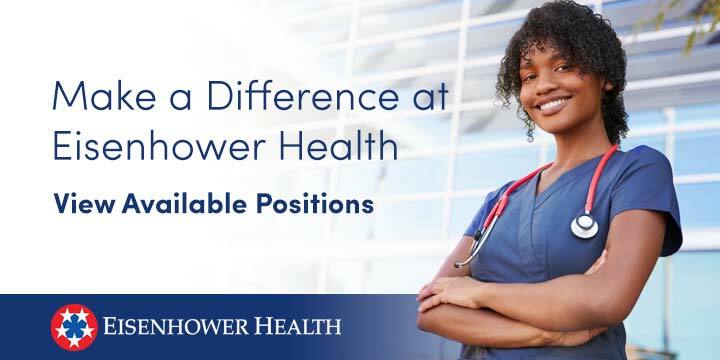 Learn about open positions for nurses on our Careers page.